Rapunzel is trapped in a high tower by a wicked troll. 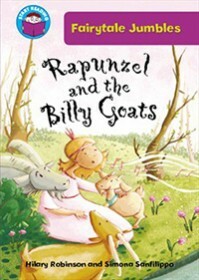 The three billy goats want to help her but the troll won’t let them cross the bridge! A handsome prince rides by on his horse. Will he be able to help the trapped princess?